The Department’s Aviation Enforcement Office found that when consumers searched the carrier’s website for one-way flights sorted by schedule, US Airways provided a set of fares that did not include additional applicable taxes and fees, or any notice on that page that these additional charges would be required. Under DOT’s requirements for Internet advertising displays, the full fare must either be listed on the first screen that provides fare quotes, or the existence of additional government-imposed per-passenger charges must be prominently disclosed along with a hyperlink that takes consumers to a page that describes the additional charges. US Airways, Inc., is the fifth largest airline in the United States. A member of the Star Alliance, the airline has a fleet of 353 mainline jet aircraft and 319 regional jet and turbo-prop aircraft connecting 200 destinations in North America, Central America, South America, the Caribbean, Hawaii, Europe and the Middle East. This is not the first time the carrier was fined by DOT for display of inaccurate and misleading airfares. In February 2008, DOT fined US Airways for $100,000 for the display of inaccurate and misleading information on the US Airways website regarding fares for infants traveling on a parent’s lap (“lap infants”). 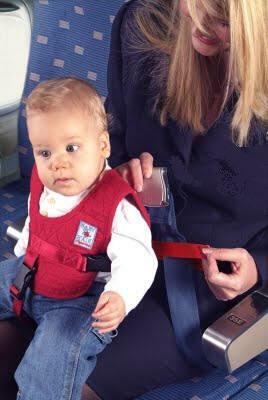 During a period beginning in mid-2006, soon after the merger of US Airways and America West, consumers attempting to book reservations for lap infants on international flights understood from the carrier’s website that infants could travel at no charge. When consumers who had booked reservations on the USAirways website arrived at the terminal, however, the carrier’s ticket agents informed passengers that there were in fact charges for lap infants that typically included ten percent of the adult fare, taxes and surcharges and that the display of a “zero charge” on the web fare calculator was erroneous. US Airways stated it became aware in the fall of 2006 of the erroneous display of international lap infant fares and sought to modify the site to provide an accurate fare calculator, but, according to the carrier, in view of other website priorities, the modification would not be fully installed until later that year. Initially, the concern on the part of the carrier was to provide a unified website, combining features of both the America West and the US Airways sites, but difficulties in integrating the two systems led to errors such as the one involving lap infant fares. In the interim, the carrier inserted a mandatory screen alerting consumers to the fact that additional charges applied to the transport of infants, including taxes and a fee of approximately 10 percent of the fare of the accompanying adult. The notice, however, did not advise consumers that the full fuel surcharge, equal to that charged adult passengers, applied to lap infants, nor was it clear whether a fee applied to the issuance of a paper ticket required of lap infants. A second interim fix was put in place in early 2007 which gave the fare of the adult passenger, then noted that the infant fare was “to be determined,” in addition to the mandatory page noted above. Later, the carrier states that it stopped accepting international reservations on its website for lap infants and their accompanying adults. The current page instructs consumers to make such reservations by contacting the carrier’s telephone reservations network. In mitigation with DOT, the carrier states that it believed in good faith that despite the non-functioning fare calculator, a pop-up window that existed during 2006, advising that fees and charges may be imposed, would adequately advise customers that there would be charges associated with lap infant travel. Further, the carrier states that as soon as it realized that it was receiving a number of complaints about lap infant fares in the fall of 2006, it researched all the persons who held lap infant reservations for future flights (approximately 574 persons) and assigned experienced agents to telephone each such passenger to advise him or her of the specific lap infant charges associated with their reservations and offer refunds to parents for their own fares if they did not want to continue with their travel reservations. Also, according to the carrier, by early December 2006 the mandatory page was in place on the website advising all customers that assorted charges could be applicable to lap infant travel, and the fare calculator had been amended to reflect that the lap infant fare was “to be determined.” The carrier states that it reasonably believed at that time that the website no longer inadvertently suggested to any persons booking lap infant fares online that there would be no lap infant charges. When the carrier learned in the spring of 2007 that some customers were still confused about lap infant fares booked through the website, the carrier promptly disabled the public’s ability to make lap infant reservations online. DOT believed that enforcement action was warranted with respect to US Airways’ inaccurate display of infant fares. The carrier’s delays in remedying flaws in its website displays resulted in consumers receiving misleading information over an extended period. Until it terminated all displays relating to infant fares in April 2007, some consumers continued to receive inaccurate advice, resulting in inconvenience to consumers and possible additional costs to passengers who based their ticket purchase decisions on the apparently free transportation offered for infants.